Maybe Dominican agriculturists finally heard the words of a dead man, admonishing them from a grave in Rome he has occupied for 2000 years. What are we talking about? Well, hear what Roman philosopher Lucius Anneus Seneca (4B.C. – A.D.65) said about planning: "Our plans miscarry because they have no aim. When a man does not know which harbour he is making for, no wind is the right wind." So, on Tuesday the Ministry of Agriculture, heeding Seneca, realised that it has been drifting around aimlessly for too long and needed a policy to guide its programmes and projects. 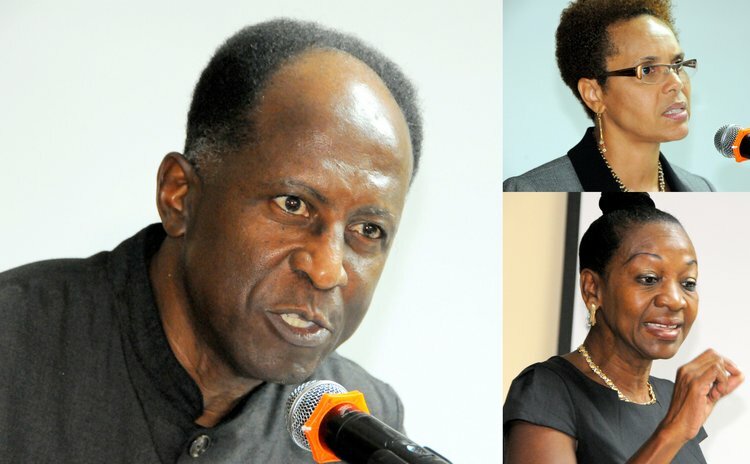 Admitting that Dominica is yet to have a written policy on agriculture, Eisenhower Douglas, the Permanent Secretary, nonetheless argued that agriculture has been operating within a certain "policy framework". "I argue that very strongly," Douglas told participants of a one-day national consultation on a public policy towards agriculture held at the Garraway Hotel. Douglas also stated that a "defined" policy is necessary to boost farm output and yields especially since agricultural output has declined significantly from exports of $147 million in 2008 to just $35 million in 2012. "Production is the name of the game," Douglas said. "Then there are issues of productivity, competitiveness". This is the Ministry of Agriculture's second major effort at defining its policy and like in the first attempt in 2007, the Inter-American Institute for Cooperation on Agriculture (IICA) is providing technical assistance. "You have to up-date (your policy) regularly to unsure that your recommendations are relevant," said Diane Francis, a Dominican employee of IICA. "Policy is a living creature and you have to change policy based on new circumstances." Francis, an economist (and former Carnival Queen), said the word policy has a bad reputation, because of past failures and misunderstanding of the word, that clouds the value of the process. "Policy is not a plan per se," Francis said. "Policy is a framework, an intention by somebody, like the Government through the Ministry of Agriculture to do something to make a difference, to make change, to cause something to happen. Policy by itself does not cause things to happen- you must have all the arrangements, such as financing, for anything to happen." And most economists agree that there is the need to turn around the performance of the sector. For example Lucilla Lewis told the consultation that though the contribution of agriculture to Gross Domestic Product (GDP) has declined over the past 10 to 12 years, the sector is still extremely valuable to Dominica's export earnings, job creation, poverty alleviation and food security. Probably Dominica's intention to achieve these goals in agriculture may miscarry, but to paraphrase Seneca, at least the policy makers of that sector will have an aim.